Probably the question I'm asked most. This means they're essentially a shell, often comprised of synthetic, non or low absorbency material, into which can be placed absorbent inserts of your choice. However, unlike our Superwetter Quickdrys, they don't offer all round high absorbency especially at the sides, which makes our Quickdrys ideal for heavy wetting night time wrigglers & side sleepers. 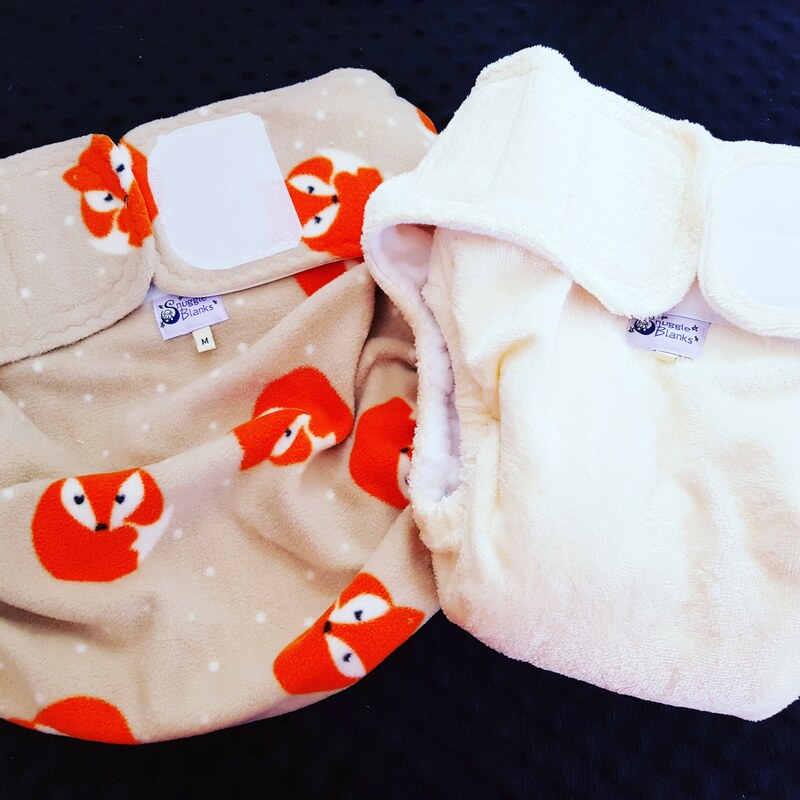 The bamboo structure of the Quickdry means moisture can be absorbed and dissipated all the way round the nappy, whilst the soft inner microfleece keeps skin dry. The Quickdry nappy itself contains inner leak guards, which guide moisture towards the pull out cotton core. A breathable waterproof wrap over the top, with elasticated legs then keeps everything securely contained. By comparison a pocket/all in one rarely has absorbency to the sides and no additional barrier against leaks. In summary, if you're fed up with damp beds, and regularly changing and want a long lasting, high absorbency solution, then the Quickdry & Wrap set is worth a try- child or adult.